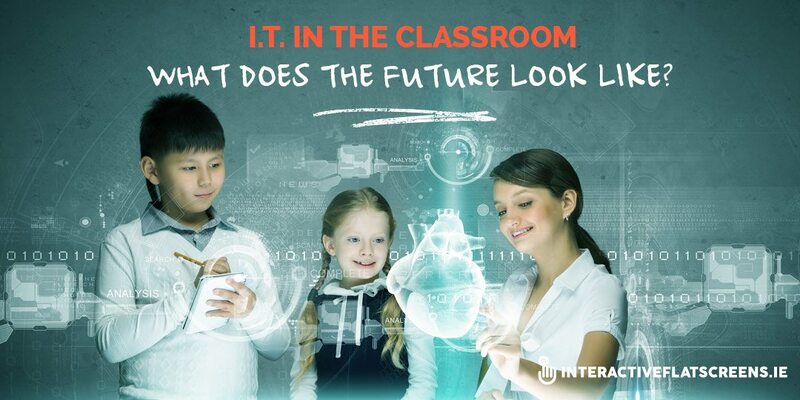 IT in the Classroom: What does the Future Look Like? I.T. in the Classroom: What does the Future Look Like? Interactive flat screens, iPads, tablets, apps, Android, Blackberry: with all these technological tools and innovations what will the classroom of the future be like? Can we predict based on what these technologies do and can potentially do? Can we even be sure that these technologies are going to be around a long time before they are superseded by fresh innovations? The following is an attempt to look into the not too distant future of the classroom. The good teacher. We’ve all had at least one in our lives. Someone who isn’t despotic or condescending. Someone who takes an interest. Someone who listens. Someone who has the ability and desire to learn from his pupils. This last quality is probably his best. The future of the classroom is, in a nutshell, the good teacher. We are living in a transitional age. The IT revolution is still going on all around us, including the classroom. Notebooks and pens are being replaced by iPads and tablets. Books are being replaced by interactive teaching apps. White boards are being replaced by interactive flat screens. One of the most interesting effects of this transitional state is the role reversal between teacher and pupil. When the technology is problematic and the teacher can’t fix it he defers to the IT savvy pupil: our children know more about IT than most of us do. Perhaps this will help usher in a new age in the classroom. Instead of the old hegemony of the teacher there will be a symbiosis of learning which occurs through interaction facilitated by technology. It will be the era of the good teacher. One who isn’t afraid to open up a dialogue with his pupils. One who is stimulated by what his pupils have to say. Of course, the teacher must keep their eye on the bigger picture and assert their authority. This is done with the new white board, the interactive flat screen. But they won’t be the same dictatorial presence that many of us have suffered (those of you past the age of 40 will know what I’m talking about). The good teacher will be a facilitator of learning. Through interactive teaching apps the learning process will become more pupil orientated and this will free up the teacher to engage with pupils on a one to one basis and become the one who listens and takes an interest. Technology will allow instant access to the pupil’s work so the teacher can find out what their strengths and interests are and give guidance and direction. The good teacher will have confidence in his pupils. Confidence in their ability to engage with the technology and learn. They will, quite literally, be left to their own devices. As for the technology, it will of course continue to advance and improve but fundamentally it will remain the same. In fact, it could be argued that the arrival of IT in the classroom hasn’t fundamentally changed anything. The iPad is the new notebook and the flat screen is the new white board. The only thing that it has changed is the level of interaction and engagement. As long as interaction and engagement is at the heart of the educational process interactive technology will rule. 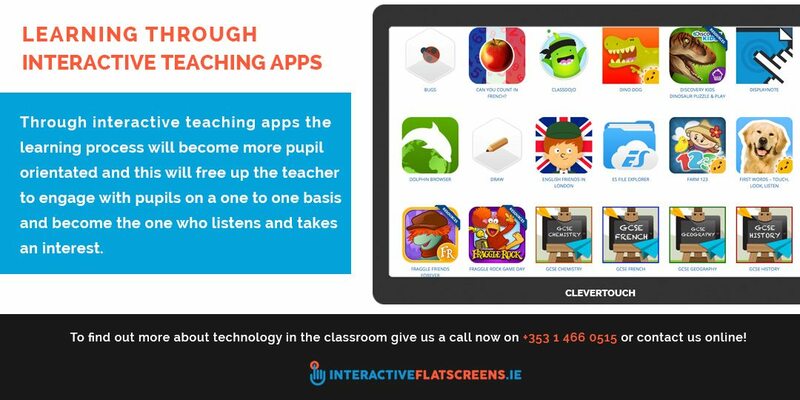 If you’d like to find out more about our range of interactive flat screens from CleverTouch then give us a call now on +353 1 466 0515 or contact us online to see how technology can benefit your classroom!